SEATTLE—Committee for Children, the nonprofit global leader in research-based social-emotional learning (SEL) education, has unveiled a fresh new look and feel for both its organization brand and its Second Step product brand. The dynamic redesigns incorporate modern logos, new taglines, revamped websites, and updated color palettes and visuals, all designed to support the evolution and growth of the organization. This refresh is the first major overhaul of the nonprofit’s visual identity in 15 years. 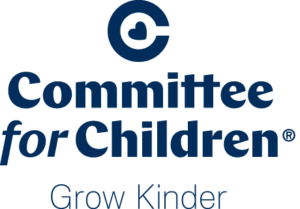 Founded in 1979 to help victims of child sexual abuse, Committee for Children is a trailblazing nonprofit organization that advocates for policies and legislation to enhance, gathers research to support, and develops educational programs to advance the safety and well-being of children through social-emotional learning. Best known for innovative SEL-centric programs that blend research and rigor with intuitive design, the organization’s programs reach over 14 million children each year in more than 70 countries worldwide. While Committee for Children’s mission and vision remain the same, the new logo represents the evolution of the organization’s brand and brings a sharp, new visual identity to the forefront. The heart wrapped in a C pays homage to the organization’s heritage, and is paired with a confident font that speaks to the strength of their work on many fronts. Playfulness in the letters C and E nod to the joy and energy of the programs the organization creates. An active and inspiring tagline, Grow Kinder™ puts the power of positive change in the hands of the people while positioning Committee for Children as the organization to facilitate it. This language speaks to Committee for Children’s belief that in a vast, ever-changing, and complex society, this simple, yet powerful directive will lead to their ultimate goal of safe children thriving in a peaceful world. The new Second Step logo captures the vibrant, playful look and feel of the Committee for Children products. It mirrors the bustling energy of a classroom of kids, with some touches of skater and graffiti culture. 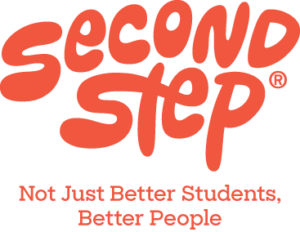 The tagline, Not Just Better Students, Better People™ debuted with the launch of the new, digitally delivered Second Step Middle School Program in 2017. The logo speaks to the fact that schools are about more than churning out good students—they’re for empowering kids to enter the world as empathetic, kind, cooperative members of society. In all, this comprehensive rebrand elevates Committee for Children’s commitment to helping children everywhere thrive emotionally, socially, and academically. Based in Seattle, Washington, the nonprofit partners with researchers, publishers, and nonprofit organizations around the world on a plethora of initiatives for improving the lives of children. “We have always seen ourselves as pioneers. We know sustained impact takes a systemic effort and we’re leading the field with our uniquely comprehensive approach. This rebranding strengthens our ability to grow our efforts and continue to meet the needs of children, parents, educators, and the community at large,” shared Duffell. For more information, visit cfchildren.org to explore the new website and learn more about Committee for Children and Second Step.